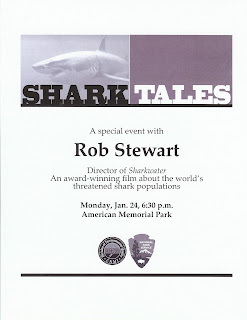 Rob Stewart of Sharkwater to speak at AMP on Monday! 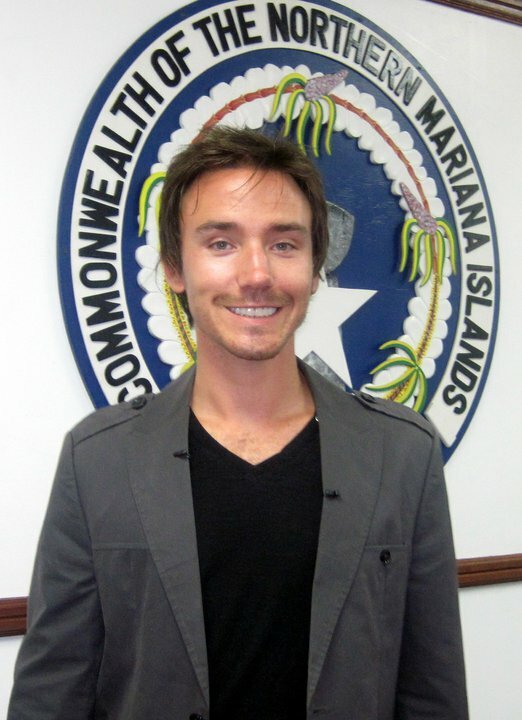 Rob Stewart (the director of "Sharkwater", will be visiting the CNMI this upcoming week and will speak at American Memorial Park at 6:30pm this Monday (Jan 24th). Please join us for this exciting and rare event at AMP this Monday, and please help us spread the word to others that may be interested. The event is free and open to the public; seating is limited, so come early to ensure admittance. For planning purposes, the event is expected to last between 60 and 90 minutes. Monday, January 17th, for the MLK holiday, Shirley's staff and family gathered at Sugar Dock behind the Aquarius Beach Hotel for their first clean up of 2011. A total of 21 people participated and collected about 85 lbs of trash. Shirley's adopted the Aquarius/Sugar Dock area in 2009. In recognition of their commitment, Beautify CNMI! 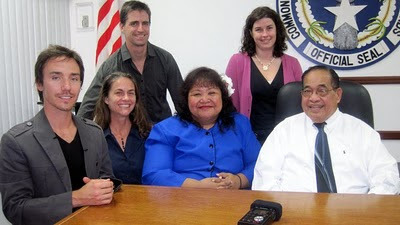 awarded Shirley's Environmental Steward award in 2010. THANK YOU SHIRLEY'S STAFF AND RELATIVES --- keep up the great work! We really appreciate your continued efforts and we know that the families that frequent the beach in that area are ever so grateful! Greetings! 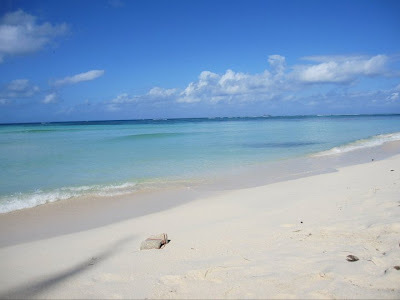 Next week, Saipan will be host to an amazing individual. 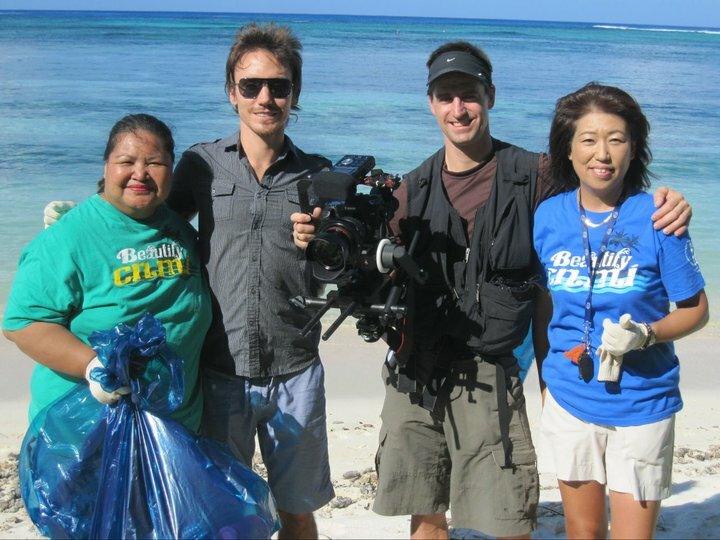 Rob Stewart, the acclaimed filmmaker and director of the documentary, "Sharkwater" will be participating in a MINA sponsored beach clean up for youth volunteers on January 23rd from 9am - 12pm, at the beaches behind Aquarius Hotel. 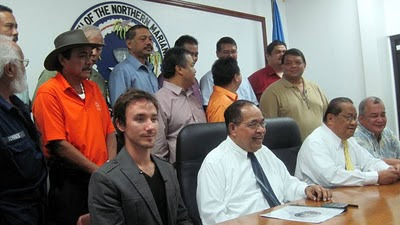 MINA will be providing trash bags and gloves to aid in garbage collection, as well as coolers and ice. Volunteers are asked to help with a case of water per group so that everyone could stay hydrated throughout the days events. Everyone is welcome to come! For any information please call Sam Sablan or Jon Igitol at 233-REEF. The Green Bulletin is produced at the CNMI Division of Environmental Quality, with cooperation from partnering agencies and organizations, for the Coral Reef Initiative with funding from the National Oceanic and Atmospheric Administration Coral Reef Conservation Program. Disney’s OCEANS will be featured at the next First Friday Films event. Bring the whole family to enjoy this beautifully shot movie this Friday, Jan. 7 at 6:30 p.m. at American Memorial Park. Nearly three-quarters of the Earth’s surface is covered by water and OCEANS boldly chronicles the mysteries that lie beneath. Directors Jacques Perrin and Jacques Cluzaud dive deep into the very waters that sustain all of mankind—exploring the harsh reality and the amazing creatures that live within. 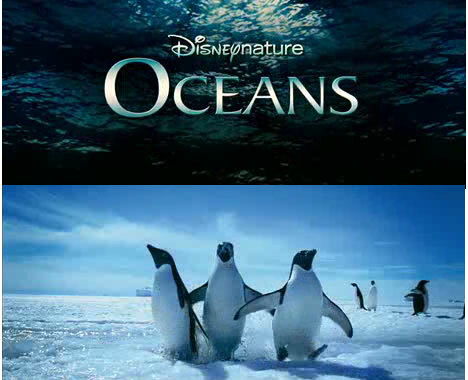 Narrated by Pierce Brosnan and featuring spectacular never-before-seen imagery captured by the latest underwater technologies, OCEANS offers an unprecedented look beneath the sea in a powerful motion picture. Members of the Marine Mammal Response Network (MMRN) will speak about the whales, dolphins, and other marine mammals that are found in CNMI waters and how our community can contribute to our knowledge of and support the conservation of these animals.